Google launching Wifi wich cost of $129 according to indian price RS.8,606 Inr. This Google Wifi launching on 4th oct last year Google launched a Wifi router which is made by TP-Link with the price tag $199. 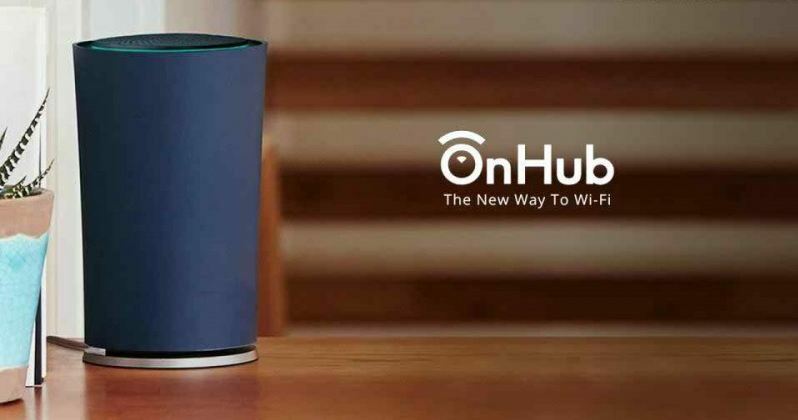 Google promised that OnHub would receive the regular updates and minor bugfixers and other security updates. Google release a new Wifi router which is called On Hub the android police say's that Google wifi is similar to Echo Dot. This google On Hub wifi device having one port only. On Hub Wifi having Max Speed of 1900 MBPS which scan's Wifi channels for every 5 minutes. This device can connect 1000 devices, Simultaneously covers up-to 2,500 square feet. Google On Hub Wifi device is specialized with 2.4Ghz reflectors and it constant's of 12 antennas in it with sensing antenna. It has Multi-color ring on the top of the device.